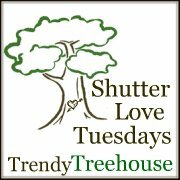 The week’s theme at the Trendy Treehouse is pets. Therefore, I get to show off my favorite pet…KITTY PAW. Yes, her name is Kitty Paw. I did not name her (I think my dad did – we have strange nick names in our family), but I love her all the same. Several years ago, I was living by myself and decided that I needed a friend. My parents had 2 or 3 dogs and 2 cats at the time – one of which was Kitty Paw. Kitty Paw was the quieter, skiddish cat who hid most of the day. I decided that she would be much better off if she was the only child and asked if I could bring her home with me. Fast forward four years and she is the happiest little cat on the planet. My husband thinks of her as his daughter and she has more room than she could have ever imagined to play, sleep and eat. 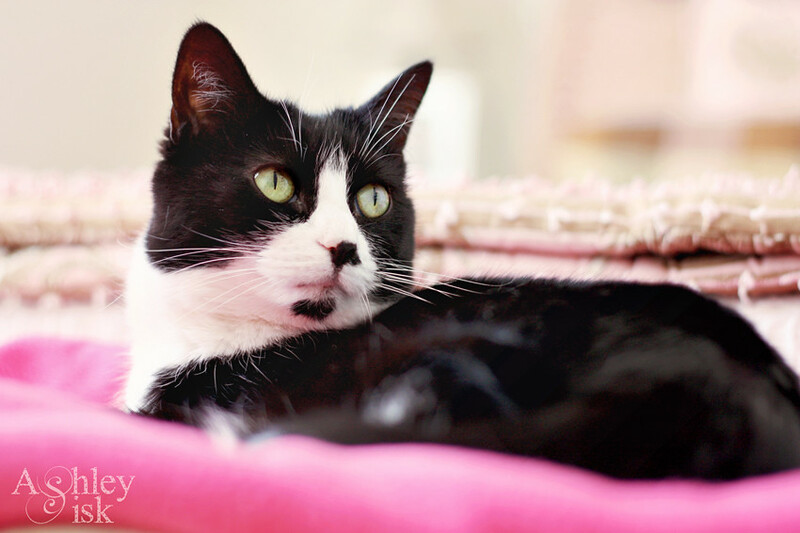 The photo below was taken in our guest bedroom – in her perch. She used to sleep here all the time but has since decided that she prefers the bed instead. And if you think you have a hard time getting your children to look at the camera…try getting this little cat to look at the camera…that’s a joke. Update: Kitty Paw won 6th place!